Headquartered in Quincy, MA, The Grossman Companies is a family-owned real estate firm with local roots dating back over 120 years. Our services span acquisitions, private lending, property management and brokerage. We own and manage an approximate 2.5 million square foot portfolio of commercial and residential properties concentrated in New England. In addition to investing in properties, we invest in long-term relationships with trusted lenders, brokers, tenants and investors. The Grossman Companies invests in retail, office, industrial, residential, land and self-storage properties throughout New England. We specialize in transforming underleased buildings into aesthetically pleasing, thriving spaces. While we mainly target value-added opportunities, we also acquire core properties and opportunistic investments. First Boston Capital Partners, an affiliate of The Grossman Companies, extends private loans to builders, developers and real estate investors in Massachusetts, New Hampshire, Rhode Island and Connecticut. We provide short-term bridge capital for acquisitions, ground-up construction or renovations secured by non-owner-occupied residential or commercial properties. The Grossman Companies has over 35 years of experience working with both tenants and landlords in commercial real estate leasing and sales. We understand both sides of a deal — and apply our expertise to help you make the right decision when the stakes are highest. Our Property Management team oversees day-to-day operations of all our portfolio properties. 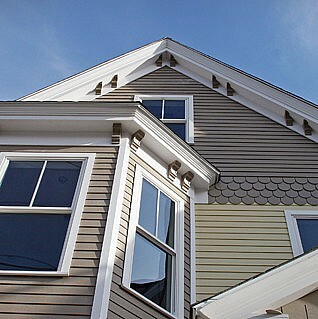 We also offer these services to third-party landlord clients throughout Southern New England. Our staff manages everything from cleaning and landscaping to any emergencies that may arise. FRANKLIN, MASS. — The Grossman Companies, Inc., a family-owned real estate firm based in Quincy, Mass., has formed a joint venture with Calare Properties of Hudson, Mass., and acquired a 165,000 square-foot industrial property at 210 Grove Street in Franklin. Making the announcement were Jake Grossman, a principal of The Grossman Companies (www.grossmanco.com), and Bill Manley, Calare’s Managing Partner (www.calare.com). Representing the seller was Binswanger Executive VP Timothy O’Callaghan. Financing was provided by Cambridge Savings Bank. Exclusive leasing agent for 210 Grove Street is Robert Gibson, Jr., a CBRE/NE principal. Grossman says the currently vacant 210 Grove Street, which served Georgia-Pacific well for many years, is an ideal location for any manufacturing or distribution business seeking easy access to I-495 and all of southern New England. A rail line with space for 8 freight cars runs through the building. There is ample employee and trailer parking. The fully-sprinklered building is can be subdivided into two sections: one part consisting of 110,000 SF with 22’ clear space and 15 loading docks, and a 56,000 SF section with 27’ clear space, 2 loading docks and the rail line. This is the most recent of several deals consummated between the parties in recent years. In 2013, Grossman bought a 225,000 square-foot warehouse in Mansfield from Calare for $7 million in a 1031 exchange. For leasing information, contact CBRE’s Bob Gibson at (617) 912-7072. For information about commercial real estate investment and joint venture opportunities, contact Jake Grossman at (617) 472-2000 / jake@grossmanco.com. BOSTON, MASS. 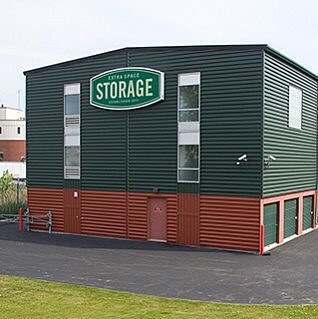 — Following the successful September 2014 sale of its first self-storage investment, an affiliate of The Grossman Companies, Inc., of Quincy, Mass., this week closed on its second storage property, buying Roslindale Self Storage, an approximate 44,000 SF facility situated on 1.34 acres in Boston’s Roslindale neighborhood. The purchase price was $8.8 million. Brookline Bank financed the purchase with a $6.4 million acquisition loan. The announcement was made by David Grossman, Co-President of The Grossman Companies (www.grossmanco.com), the family-owned company with Boston-area business roots dating back to the 1890’s. The Roslindale Self Storage property at 34-44 Lochdale Road, located off Washington St., consists of 366 storage units with an additional 17,000 SF leased to two commercial tenants, Autoparts International and Cataldo Ambulance. There are 55 paved parking spaces adjacent to the building. Grossman said, “We have been pursuing urban self-storage property for the last few years and are excited about this opportunity in Roslindale which is a densely populated, under-supplied market. We have hired Storage Asset Management, a third-party self-storage management company that manages over 25,000 units on the East Coast, to manage the property on our behalf. 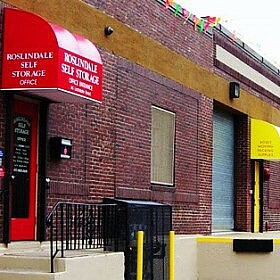 The asset has historically been fully occupied and its stable cash flow is extremely attractive; however, we are optimistic that we will be able to create significant value in the medium- and long-term.” Roslindale Self Storage, developed and managed by a private owner since 1979, is a 100% climate-controlled facility. Following a busy 2014 campaign which saw the company acquire eight New England assets totaling over 500,000 SF, the Grossman Companies remain extremely active on the acquisition front. 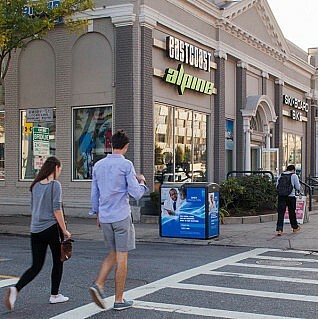 The Roslindale purchase is its fourth purchase of 2015. Most recently, the company announced plans for an 80-unit, $26 million apartment development in Boston’s Allston neighborhood. Acquisitions in the last few years include small Main Street retail, value-add office and industrial investments, and land entitlement investments. 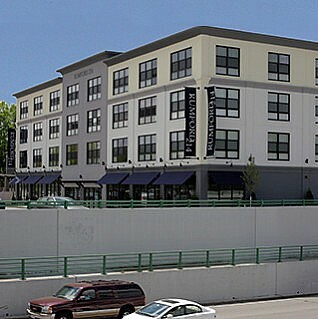 Also in the last 18 months, the company has acquired a portfolio of two- to four-unit multi-family properties in East Boston and is permitting land in Connecticut for a new apartment complex. JOINT VENTURE PLANS $26 MILLION APARTMENT COMPLEX IN ALLSTON, MASS. QUINCY, MASS. — Principals of The Grossman Companies, Inc., of Quincy, Mass. and The Waypoint Companies of Boston this week announced the purchase of a 0.70 acre land site that has been permitted for an 80-unit, $26 million apartment complex in Boston’s Allston neighborhood. Closing on the property, located at 61-89 Braintree Street, occurred on January 22. Grossman said, “Major infrastructure improvements and lower housing costs than other Boston neighborhoods will be inducements for our target market.” A range of high-profile institutions are within an easy commute including the Longwood Medical Area and many colleges including Harvard, Boston University and Boston College. 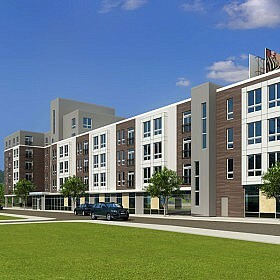 “We anticipate these apartments will appeal to recent graduates, young professionals and grad students,” said Grossman. The majority of the apartments – 51 of the 80 – will be 568 SF studio units. The remainder will include one and two bedroom units ranging in size from 840 – 1,122 SF. A small number of three-bedroom units will consist of 1,173 SF. Plans call for 68 parking spaces, a fitness center and a common roof deck. Rooftop solar panels will help reduce utility costs. This development project is in line with The Grossman Companies’ growth plan. It made seven acquisitions during 2014 in Massachusetts, Connecticut and Rhode Island, dramatically increasing the company’s portfolio from one million to 2.5 million square feet. Acquisitions in the last few years range from small Main Street retail to opportunistic industrial and land entitlement investments. While most of the firm’s emphasis has been on large commercial properties, in another joint venture residential real estate arrangement, Grossman has acquired a portfolio of 110 two- to six-family multi-unit properties in East Boston. That portfolio comprises 120,000 square feet in 30 properties. Jake Grossman said the partnership is seeking additional East Boston multi-families. The company is currently permitting land in Connecticut for a new apartment complex. Principals of The Waypoint Companies (www.waypointcompanies.net) are Ed Champy and Kieran McAllen who have a combined 30 years of experience developing/redeveloping small to midsize projects in Boston. Their expertise includes dealing with permitting challenges and complicated construction projects. 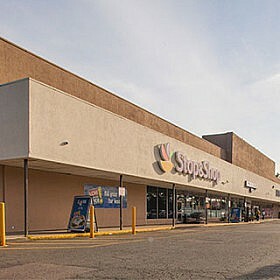 NEW BRITAIN, CT.'S COLUMBUS PLAZA IS ACQUIRED BY THE GROSSMAN COMPANIES, INC.
QUINCY, MA & NEW BRITAIN, CT – Adhering to its goal of finding value, an affiliate of The Grossman Companies, Inc., of Quincy, MA (www.grossmanco.,com), has acquired Columbus Plaza, a 54,450 square-foot shopping plaza in New Britain, CT for $7.65 million, or $146.00 per square foot, an approximate 8% cap rate on the current income. This is Grossman’s 6th acquisition in the Constitution State in the last 24 months. The announcement was made by Jake Grossman, a principal of The Grossman Companies. The seller is Columbus Plaza Associates LLC. Brokers who participated in the transaction are Jeff Dunne, David Gavin, Erik Edeen, Chris Angelone, Bill Moylan and Nat Heald, from the New York and Boston CBRE Institutional/Capital Markets Groups. Peter Kenn of Goedecke & Company arranged the first mortgage financing with Blue Hills Bank on behalf of the buyer. Columbus Plaza, at 150-174 Columbus Blvd., is situated directly off Rte. 9 at exit 26, a quarter mile from Rte. 72 with visibility to some 45,700 vehicles per day. 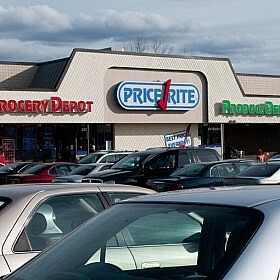 Anchored by Price Rite Supermarkets, the center has ample parking and sits at the busy corner of Columbus Boulevard and Chestnut Street. The new New Britain-Hartford Busway (Ctfastrak) will feature a Downtown New Britain Station adjacent to Columbus Plaza when the bus rapid transit line opens in 2015. Jake Grossman said, “This is a great value acquisition with two tenants we know well: Stop & Shop which has the master lease on the plaza until 2025 — and which is based in our company’s hometown of Quincy, MA — and Price Rite which is the anchor of our retail plaza in Seekonk, MA. It is a thriving high-volume shopping center with excellent demographics that fits nicely into our portfolio.” New Britain offers a dense, urban market with nearly 90,000 people within a three mile radius. The Grossman Companies, Inc. is a full-service real estate firm that is actively involved in the acquisition, development, management and brokerage of commercial investment real estate. The family business has built a reputation for investing in under-achieving properties and repositioning them to create value. It owns a commercial and residential real estate portfolio of some three million square feet in southern New England. Including the recent New Britain acquisition, Grossman and its affiliates have acquired over 600,000 square feet of real estate in the past 24 months including office, retail and industrial assets. The firm has ties to New England that date back more than 100 years. The family’s lumber and building materials chain was a household name through much of the 20th century. BOSTON, MA & WARWICK, RI — Two recent side-by-side commercial property deals illustrate the long-term opportunistic investment strategy of The Grossman Companies, Inc., of Quincy, Mass. 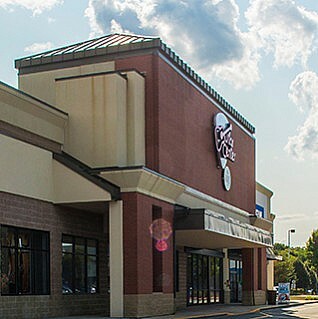 In a strategic move designed to upgrade its commercial real estate holdings while diminishing risk, in May, an affiliate of The Grossman Companies sold a 24,360 square-foot retail plaza at 1400 Bald Hill Road in Warwick, Rhode Island and on June 26 acquired the adjacent 1500 Bald Hill Road plaza known as Marketplace Center. 1400 Bald Hill Road was sold for $4.35 million. Mike D’Hemecourt, Managing Director and Senior Partner of Boston Realty Advisors, procured the buyer. Making the sale and acquisition announcement was Jake Grossman, Co-President of The Grossman Companies. He said, “The acquisition of 1500 Bald Hill Road provided us with an opportunity to upgrade the quality of real estate, tenancy and cash flow that we own in Warwick. 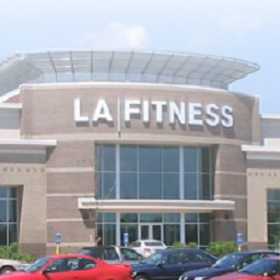 The two anchor tenants, LA Fitness and Michael’s together account for more than 85% of the leasable space with meaningful lease terms remaining. This acquisition is in line with our goal of reducing asset level risk in new investments.” Just 3,440 square feet of retail space remains vacant. This stable acquisition comes on the heels of the firm’s acquisition of a 366 unit self-storage facility in Boston, MA, in March. Located near the midpoint of Rhode Island’s most robust retail corridor, 1500 Bald Hill Road enjoys easy access to Routes I-95 and I-295. Lender for the purchase of 1500 Bald Hill Road is HarborOne Bank, which was procured by debt experts Kyle R. Juszczyszyn and Chris Coutts of CBRE Capital Markets. The investment sale brokers who represented the seller of 1500 Bald Hill Road were Rob Griffin, Jr., Geoff Millerd, and Justin Smith of Cushman & Wakefield. The Grossman Companies has a long history in Rhode Island, beginning with many stores in the family’s lumber and building materials chain that pioneered the do-it-yourself philosophy until the mid-20th century. During the 1970’s, the company transformed into a commercial real estate firm whose Rhode Island portfolio includes the Kingstown Plaza and Millcreek Townhouses, both in North Kingstown, RI. In addition to commercial property deals in Massachusetts, the company has expanded its reach to office, retail and industrial properties in Connecticut. Leasing for Marketplace Center is being handled by Atlantic Retail Properties. For leasing information, contact Ben Starr. For more information about The Grossman Companies, Inc., contact jake@grossmanco.com / (617) 472-2000 / www.grossmanco.com . QUINCY, MASS. – Veteran real estate lender George Morrill of Sherborn, MA has recently joined The Grossman Companies, Inc. and is focusing on growing the real estate loan portfolio of First Boston Capital Partners (FBCP), which provides first and second mortgage financing as well as joint-venture equity to investors and developers in New England. FBCP is the private lending affiliate of The Grossman Companies, Inc., the Quincy, Mass.-based commercial real estate investment, brokerage, development and management firm. FBCP’s private lending business has doubled origination volume in each of the last three years, having made approximately $60 million in loan commitments in that time. Morrill’s primary responsibilities are to originate new lending opportunities and asset management of the company’s private loan portfolio. Morrill said, This is an exciting opportunity to join an established, well-capitalized company with tremendous growth ambitions. First Boston provides a platform to leverage my previous experiences and help real estate investors, developers, and home builders who need immediate funding for acquisitions or refinancing. My contacts will provide a flow of activity for new construction and rehabbing existing property for sale or lease. We can eliminate much of the bureaucracy and close transactions in as little as five days. The announcement of Morrill’s appointment was made by principal David Grossman who oversees loan origination and portfolio management for FBCP. He said, In recent years, as the economy dipped and bank credit dried up, we have filled a void in the capital markets and offer short-term bridge capital and creative alternatives to conventional bank loans, he noted. Grossman said, The majority of our borrowers are homebuilders who need capital for renovations or ground-up construction. He added, George is an excellent addition to our team. He brings a wealth of hands-on experience, an entrepreneurial spirit, and a wide range of business, banking and real estate contacts that will be a tremendous asset as we grow the loan portfolio. 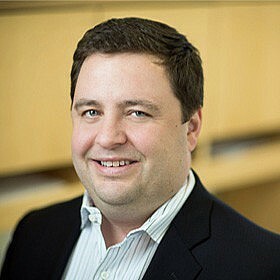 Morrill, who earned his BS degree from Cornell University and his MBA at the Babson College – Franklin W. Olin Graduate School of Business, has served as Asset Manager at Tremont Realty Capital; Director of Lending at Wellesley Capital Corporation; and Loan Acquisitions Officer at Capital Crossing Bank, among other financial industry positions. He has over 12 years of experience in the commercial real estate finance business, six of which were spent as a private lender. Grossman’s private lending business traces its roots back several generations to the early 1900′s when the family operated one of the first do-it-yourself building supplies and lumber businesses, which was sold in 1969. Providing construction loans to builders was a natural outgrowth of the building supply business, said Grossman. 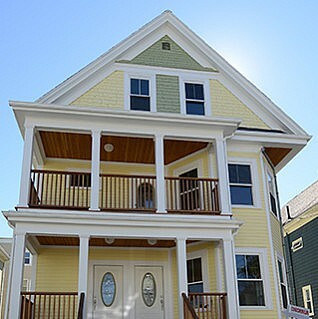 Among FBCP’s loans in the past year include a $3.1 million construction loan for a mixed-use development in Mansfield, MA; a $975,000 acquisition and renovation loan for a condo conversion in South Boston, MA; and $660,000 construction loan for a speculative single-family home in Weston, MA. First Boston Capital Partners focuses on financing projects of all product type in southern New England with loans ranging from $150,000 to $5 million. For more information: www.grossmanco.com/services; 617-472-2000 / George@grossmanco.com. MEDFORD, MASS. – MG Fitness / Mikes Gym, a full service health club located at 465 Salem St., in the Stop & Shop Plaza (formerly Foodmaster Plaza) near the junction of Salem St. (Route 60) and The Fellsway (Route 28), has renewed its 15,000 square-foot lease for five years. The announcement was made by Exclusive Broker Richard McKinnon, Director of Brokerage Services for The Grossman Companies, Inc., of Quincy, who represented the Landlord (469-471 Salem Street Trust) and the Tenant in lease negotiations. The 81,000 square-foot plaza, which has been 100% leased for many years, is ideally situated. McKinnon said the area’s demographics are “a retailer’s dream,” noting that a quarter million people live within three miles of the property. Among other tenants are Stop & Shop, Family Dollar, Rite Aid, Alexander Liquors and a Bank of America ATM. In addition to a large array of standard and state-of-the-art fitness equipment, MG Fitness (www.MGfitness.com) offers group classes and personal training. 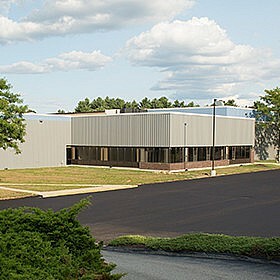 A second facility is located in Wakefield. The Grossman Companies, Inc., offers a full range of brokerage services, with a focus on sales and leasing of commercial property throughout New England. For more information, contact Richard McKinnon at 617-472-2000 or via email: richmck@grossmanco.com. NEW BUSINESS WILL RELIEVE STRESS ON BUSY COMMONWEALTH AVE.
BOSTON, MASS. – Aiming to relieve stress for people who live, work and study in the area, Elements Therapeutic Massage has signed a lease for 3,600 square feet at 870 Commonwealth Ave. on the Brookline/Boston line. The announcement was made by Richard McKinnon, Director of Brokerage Services at The Grossman Companies, who represented the Landlord, 860/870-872 Commonwealth Ave Trust. Representing the tenant was Hank Blake, Principal at Blake Commercial Property Group, LLC. McKinnon said the Elements franchisee chose the location for its strong demographics, excellent visibility, heavy vehicle and pedestrian traffic, access to the MBTA Green Line, and proximity to Boston University. Nearby neighbors include the B. U. Residence Towers, John Hancock Student Village, and the Harry Agganis Sports Arena and Entertainment Complex. Other tenants in the building include 7-Eleven, East Coast Alpine, Audio Concepts and Fenway Printing. The site was known for decades as home to The Ski Market. Elements operates 136 locations across the U. S. that delivered over 400,000 massages last year. The company promotes health through regular massage therapy for relief from pain, release of tension and reduction of stress. The Grossman Companies, Inc., offers a full range of brokerage services, with a focus on sales and leasing of commercial property throughout New England. For more information, contact Richard McKinnon at 617-472-2000. QUINCY, MASS. 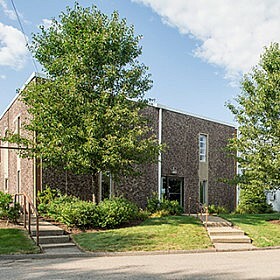 – Affiliates of The Grossman Companies, Inc., the Quincy-based commercial real estate brokerage, development and management firm, have purchased a 225,000 square-foot industrial building at 60 Maple Street in Mansfield, Mass. The purchase price was $7.05 million, or $31 per square foot. In making the announcement, Jake Grossman, who oversaw the acquisition for the family-owned business, said the Class B facility, set on 15 acres, is near the intersection of I-95 and I-495, about equidistant between Boston and Providence. He said the property, adjacent to the Cabot Industrial Park, is well located, functional and offers convenient rail access. The seller is Calare Properties, Inc., industrial property specialists based in Hudson, Mass., who Grossman commended as being great to deal with. Representing the buyer and seller in the transaction was Robert Gibson, Executive Vice President/Partner of CBRE / New England, who has been hired by Grossman to serve as Exclusive Leasing Agent. 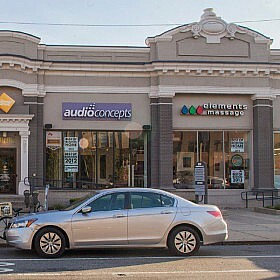 Brookline Savings Bank provided a $3.0 million acquisition loan for the buyer. Grossman said the building is 70% leased by three tenants: DGS Retail, manufacturer of signage for many national retailers; Ameristar Fence Products, regional distribution center for one of the largest ornamental fence manufacturers in the world; and GF / Guardian Fall Protection, a major scaffolding supplier based in Washington state. Still available for lease at 60 Maple Street are 67,500 square feet. The building offers ample loading docks, outdoor storage space and 21 clear ceilings. Grossman noted, This is an excellent addition to our portfolio and is consistent with our investment activities over the last three years, where we have purchased a mix of stable and value-added properties. We moved aggressively to pursue this acquisition once it was identified and it is a great complement to our existing holdings in New England. We are optimistic about our ability to increase the occupancy at the property and plan for this to be a long-term investment. In the last several months, The Grossman Companies and its joint venture partners bought a 210,000 square-foot building in Killingly, CT; a 25,000 square-foot retail plaza in Warwick, RI; a 215,000 square-foot Class A office park in Danbury, CT; and the 27,500 square-foot former Borders Bookstore in Braintree, MA. For 60 Maple Street leasing information, contact CBRE’s Bob Gibson at (617) 912-7072.